Anthony Smith is an award winning wildlife artist living and working in Liverpool. His earliest memories are of country walks around Tarbock, near Halewood, and he soon became interested in the wildlife that he saw on these walks. Smith began trying to recreate the pictures in the nature books that soon became Christmas and birthday regulars. After leaving school he went to what was Liverpool Polytechnic – but is now John Moores University – to study graphic illustration in Hope Street. All through the studying he continued with his love of natural history. When he left the Polytechnic in the 1980s he spent most of his spare time around the Merseyside coast, especially Crosby, Seaforth and Oglet, where he filled his sketchbook with drawings of birds, insects and animals. He started to exhibit work at open exhibitions around the country, including the Society of Wildlife Artists exhibition at the Mall Galleries in London. 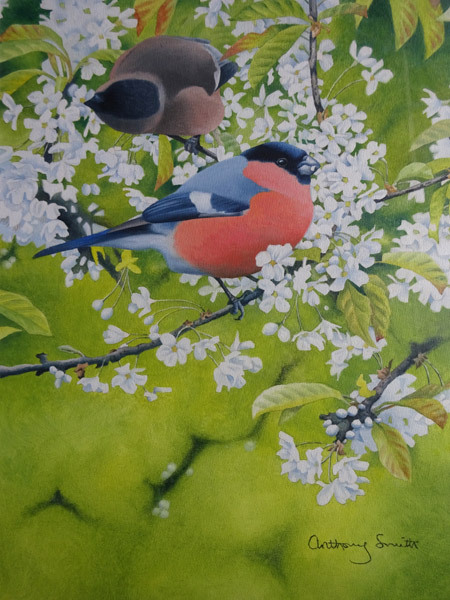 When exhibiting there he won the Society for the Protection of Birds (RSPB) Fine Art Award, and was twice shortlisted for ‘British Birds’ Bird Illustrator of the Year. 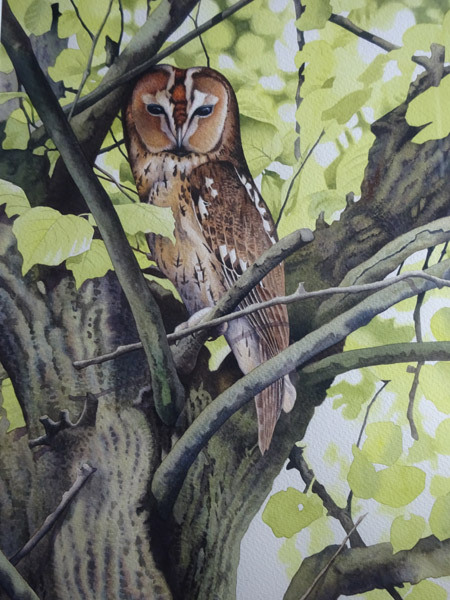 Whilst showing at the annual National Exhibition of Wildlife Art, which at that time was based at Mann Island at the Pier Head, he was asked to take over as artist at Chester Zoo, and has since been their unofficial artist for over fifteen years, painting their identification and informational art. Smith has recently finished one commission to paint every species at the zoo. “Away from the exotic species I am always drawn back to the local and native species that I see on my ‘local patch’ of Merseyside, and on trips to other wildlife sites around the country. “My favourite part of the picture making process is the collecting of the reference material. I do not paint species that I have not seen and been able to observe, because I need to see how the birds behave and move – only then can I start to build up ideas for a picture. His exhibition at the View Two Gallery in Mathew Street, held earlier this year, was his first one-man show and featured thirty oil paintings and watercolours painted in the last couple of years. A few were from trips made to Lindisfarne, Pembroke and Oban, but most are from locations nearer home. Many are inspired by him looking out of the kitchen window! He has twice been shortlisted for Bird llustrator of the Year (BTO). 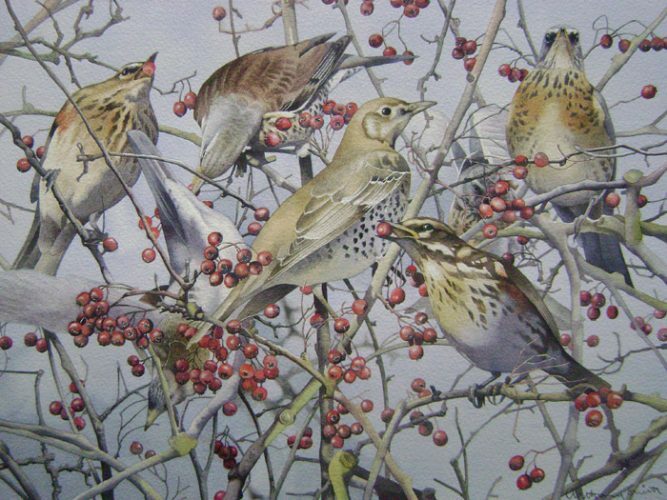 His work has appeared in magazines such as ‘Natural World’ and ‘British Birds (BTO)’. He has exhibited his paintings at various venues, including at ‘Whaletail’ Wildlife Art Exhibition in Nairobi, East Africa.